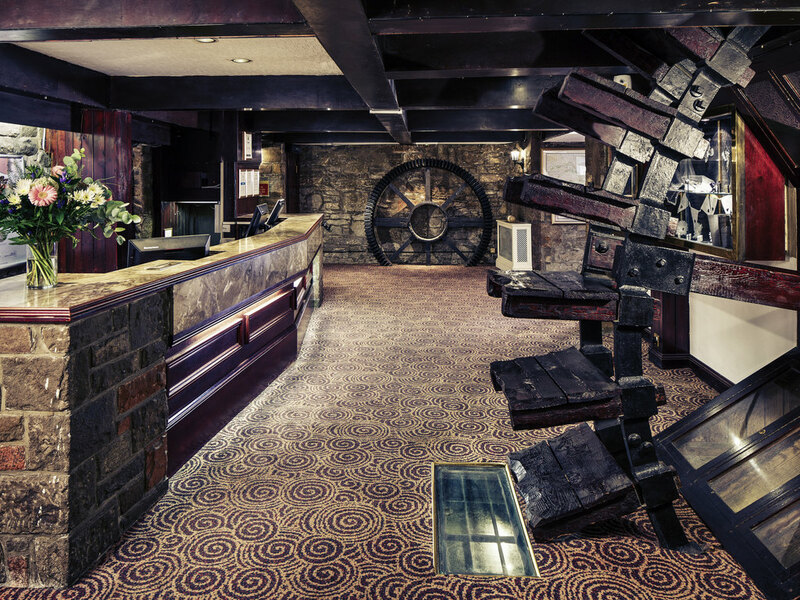 The 3-star Mercure Perth Hotel is built into a charming converted 15th-century watermill and is conveniently located in Perth city centre. With the Scottish Highlands as a backdrop, guests are invited to relax and unwind in one of the hotel's 76 contemporary guest rooms, with the Superior room offering luxurious extras. The Brasserie and Lounge Bar offers an expansive menu with comfortable surroundings; a great option after a busy day of exploring. The Mercure Perth hotel is 46 miles from Edinburgh Airport and 63 miles from Glasgow. A short drive takes you to botanical paradise, Branklyn Garden, three miles away. Explore Scone Palace, coronation site of Scottish kings, six miles away. Rooms at Mercure Perth Hotel look out over the 15th century hotel exterior and peaceful landscaped gardens. All bedrooms feature a flat-screen TV and complimentary WiFi. In privilege and superior rooms you'll enjoy a Nespresso coffee machine, newspap er, robe and slippers. The hotel's friendly, professional team make sure dishes from The Grill menu are served just the way you like. Order afternoon tea with scones and tempting snacks from the lounge menu, or take advantage of room service 24 hours a day. The Lounge bar offers a range of wines, beers, spirits, and soft drinks with helpful and experienced bar staff to ensure that you have everything you need. Light meals are available in the bar allowing you to continue relaxing.